Beyond the complete range of a TTL capable flash light, the Phottix Mitros+ can also be used as an Odin transmitter / receiver or a Strato II Multi receiver. 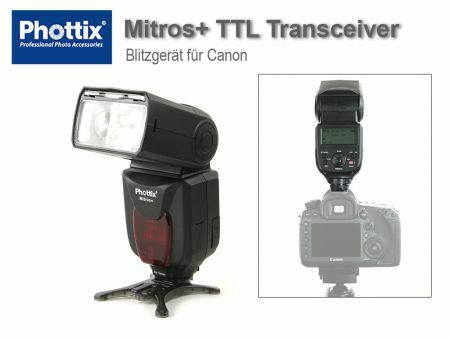 The flash light can be used as an (optical) master or slave. 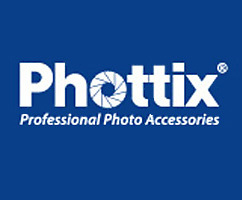 Furthermore the +-version is directly compatible with the Phottix Odin or Strato II Multi systems. 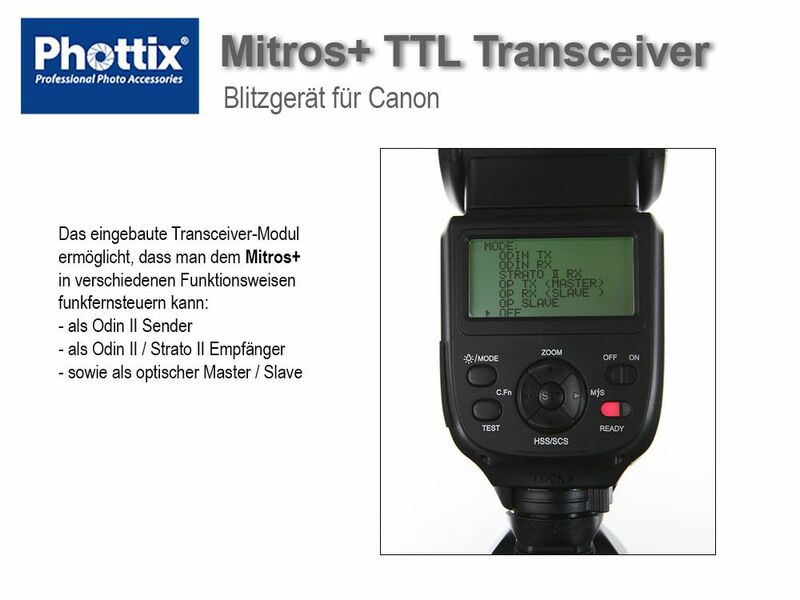 The build-in transceiver makes an additional receiver unnecessary. In which function the Phottix Mitros+ should be used can be chosen in the menu. If used as an Odin transmitter, the Mitros+ offers the same functional range as an original Odin transmitter (e.g., remote control of groups in TTL / manual mode, mixed TTL and manual flash, high speed sync and – except with the Odin II – second curtain sync) and can trigger Odin receiver as well as other Mitros+ in Odin receiver mode. 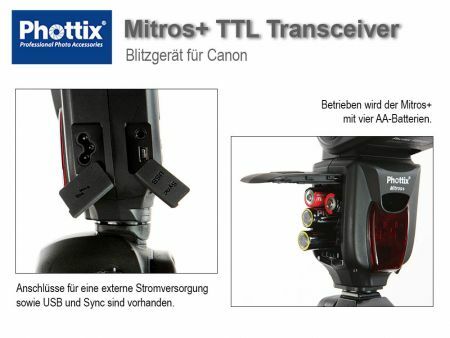 In combination with a Strato II Multi the Mitros+ can be triggered by a Strato II transmitter or it can trigger Strato II Multi receiver when in Odin transmitter-mode. 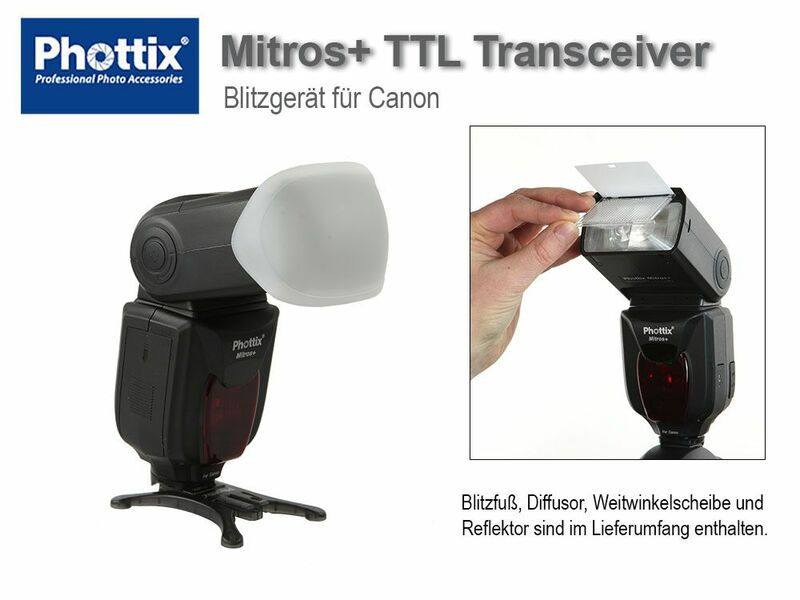 A detailed manual you can find here (pdf file).